mohanthal recipe | how to make traditional gujarati mohanthal recipe with detailed photos and video recipe. 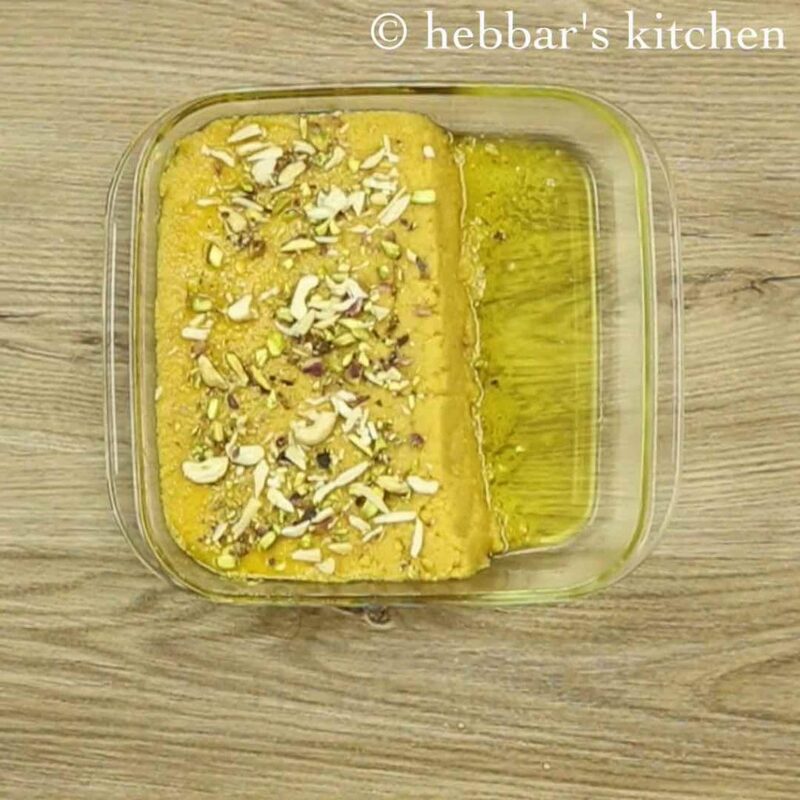 a exotic gram flour fudge or dessert from the traditional ancient gujarati and rajasthani cuisine. 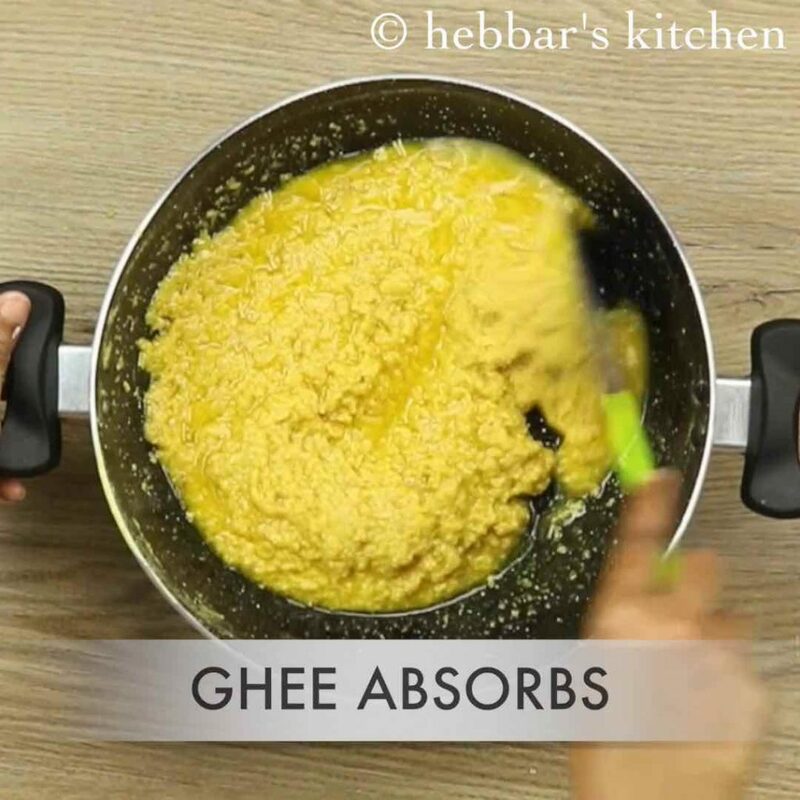 this besan and ghee based indian sweet dessert is popularly known as mohanthal, but it is known with other names like, mohanthar or mohan thal too. 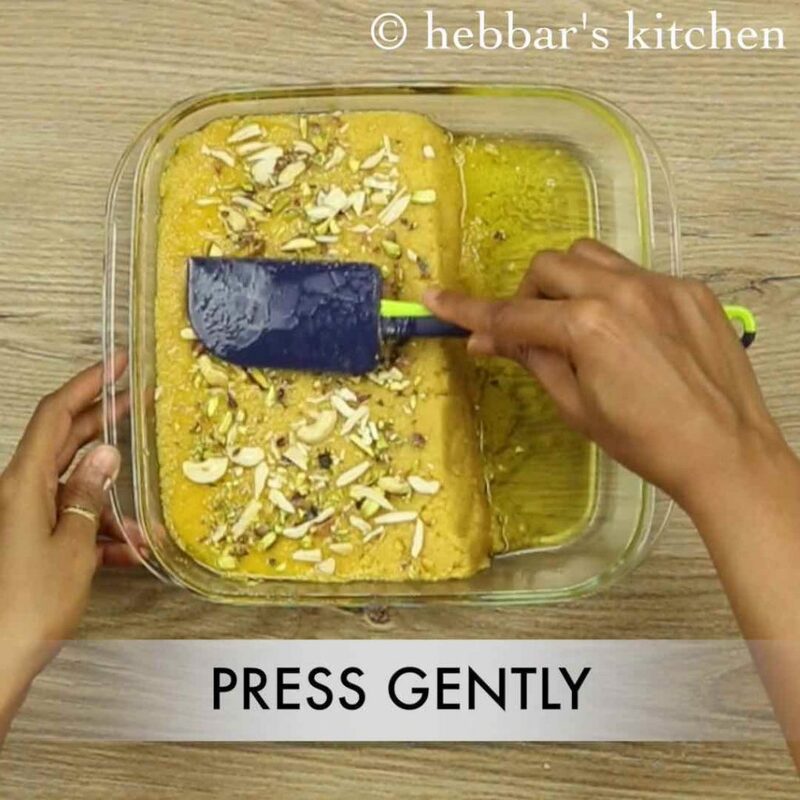 mohanthal recipe | how to make traditional gujarati mohanthal recipe with step by step photo and video recipe. 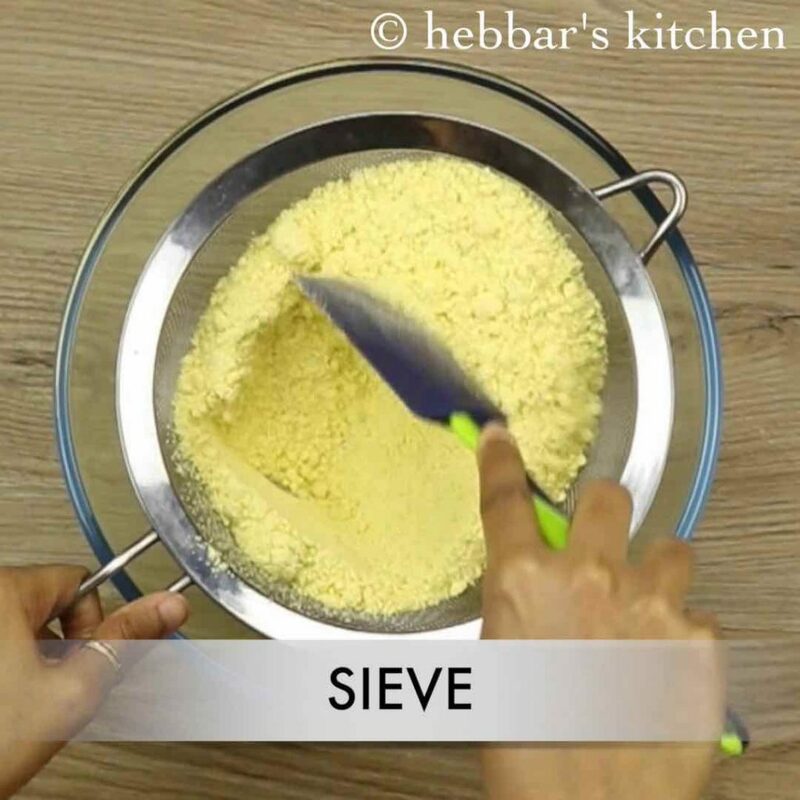 yet another traditional indian sweet recipe with the combination of besan flour, ghee and sugar. 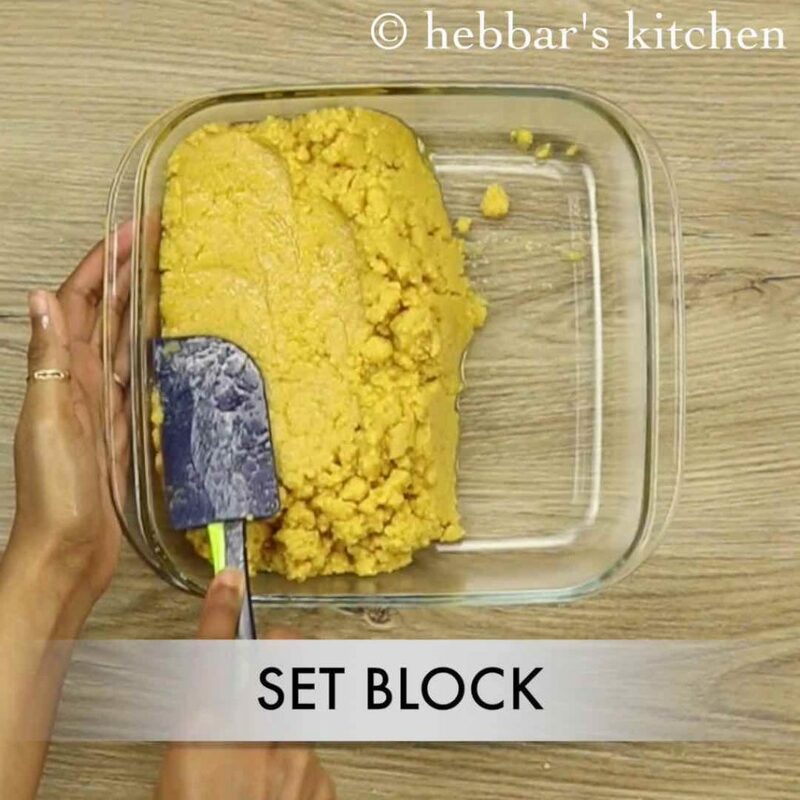 it has a significance resemblance to the south indian mysore pak and also besan burfi, but still differs with the way it is prepared and texture. 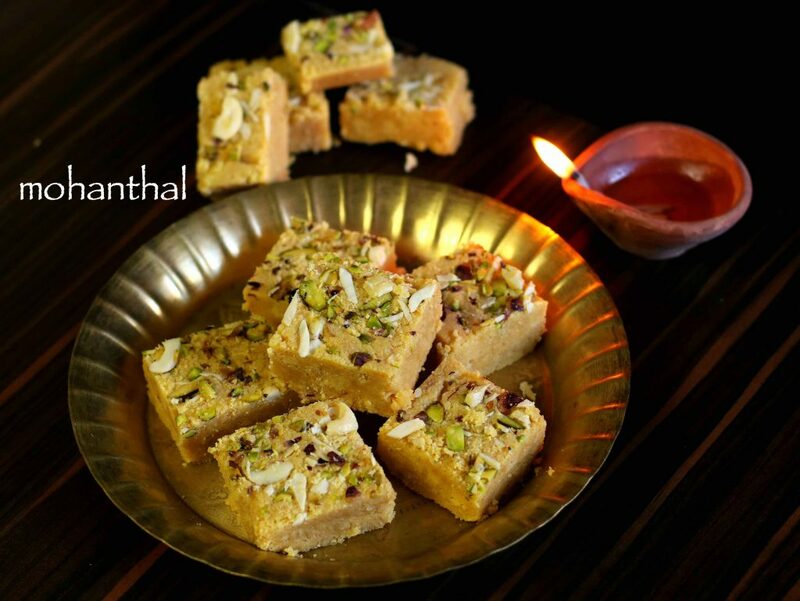 most commonly, this sweet is prepared during indian festival like diwali, navaratri and gudipadwa. every year i make sure i visit india, and whilst i am in india i make sure to visit a new place apart from my hometown. during my 2015 india trip, i visited rajasthan and i encountered first time this mouthwatering sweet – mohanthal. initially i was skeptical about this sweet as it was full of besan and ghee and i thought it should be near relative to mysore pak. however i was totally wrong and with my first bite i was already a big fan of this recipe. the best part of this recipe is that it just melts in your mouth and you feel to have more and more. 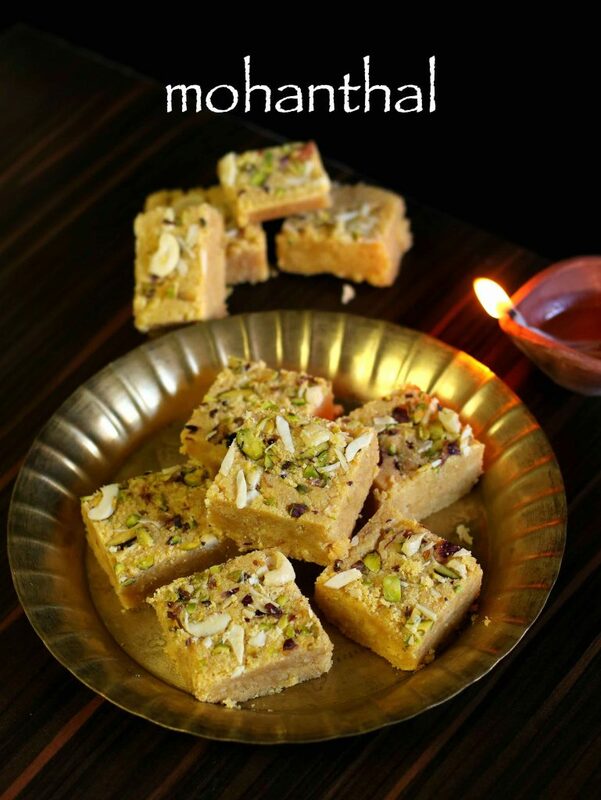 furthermore, some important tips and suggestions for a perfect mohanthal fudge recipe. 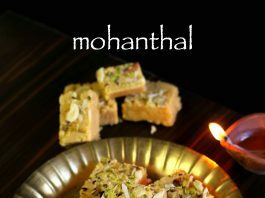 firstly, mohanthal should always be rough in texture and should not be smooth like besan burfi. hence, i highly recommend to sieve the besan mixture to achieve the same. 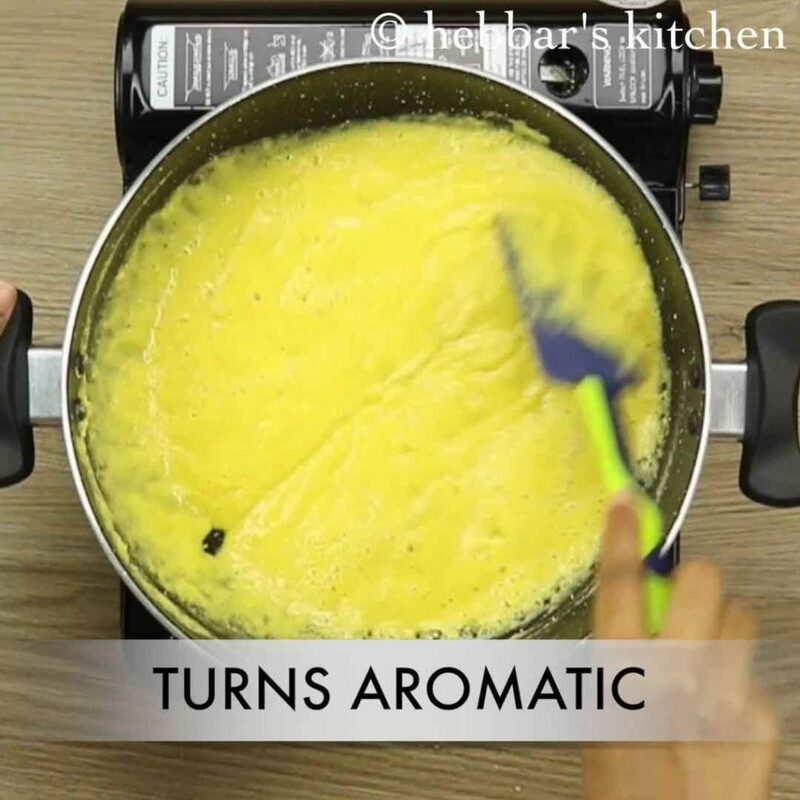 secondly, always cook the besan mixture in a low flame. yes it can be tiring and monotonous but the end result would certainly bring cheer. 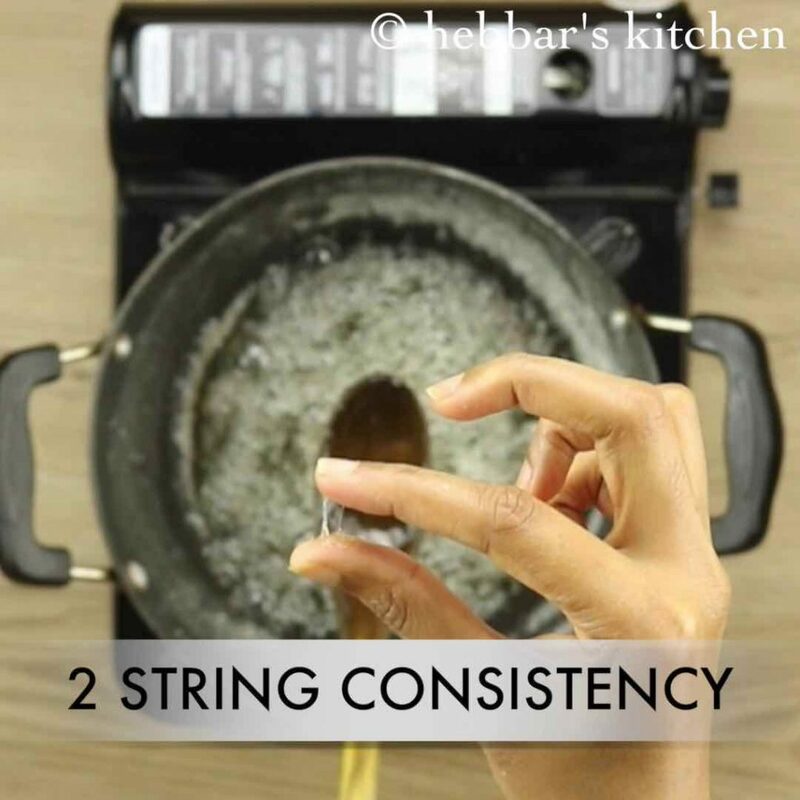 lastly, the sugar consistency is very important in this recipe and i have brought it to 2 strings consistency. while the consistency can be on thicker side but certainly not lesser than it. firstly, in a large bowl take besan and crumble with ghee and milk. 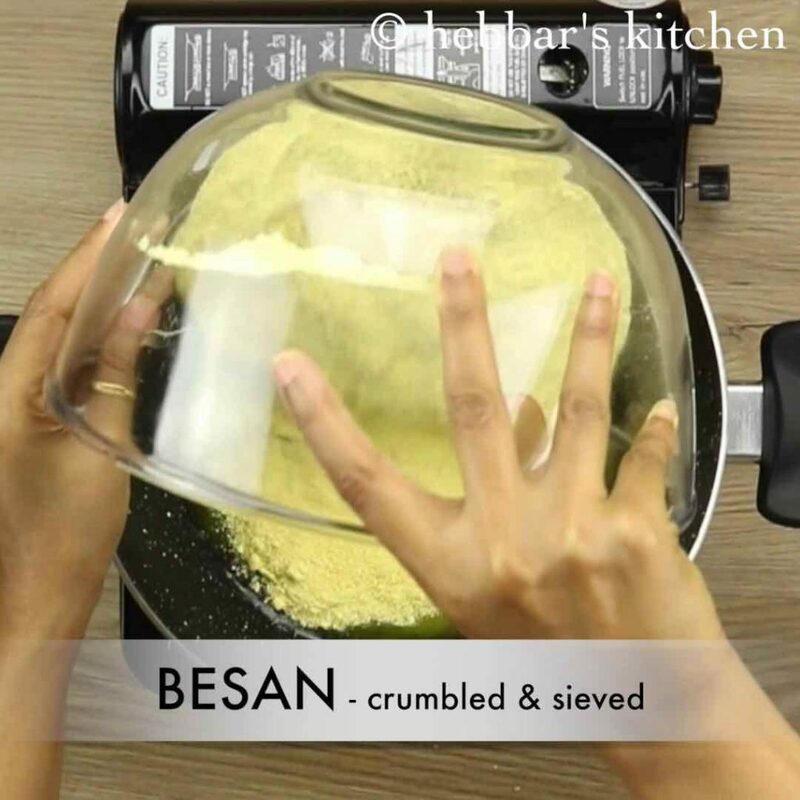 sieve the crumbled besan with the help of sieve. keep aside. 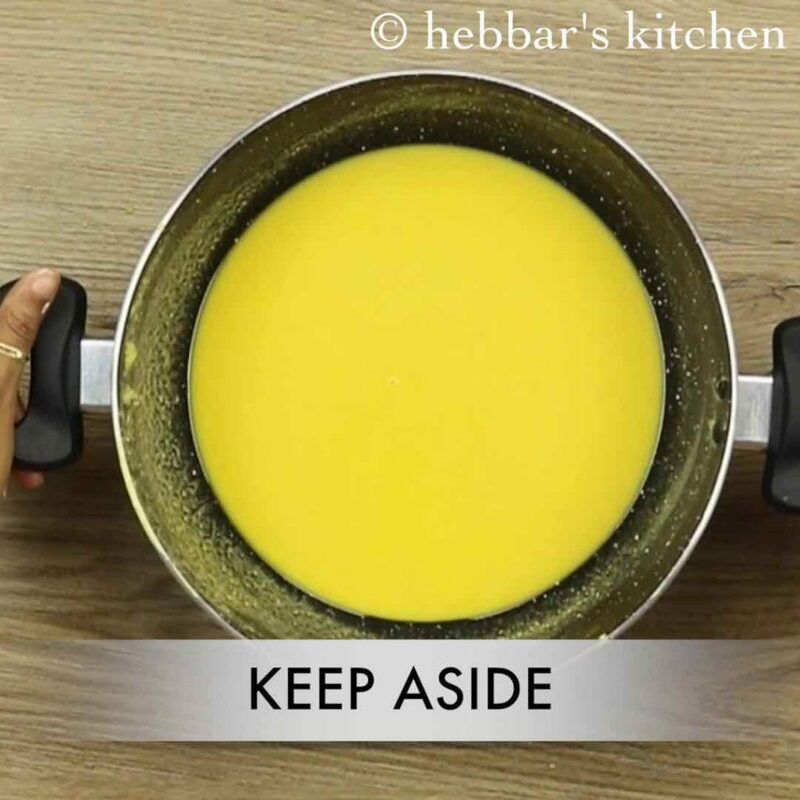 now in a large thick bottomed kadai, heat a cup of ghee. add in crumbled and sieved besan. combine well keeping the flame on low. keeping the flame on low-medium till the mixture turns golden brown. 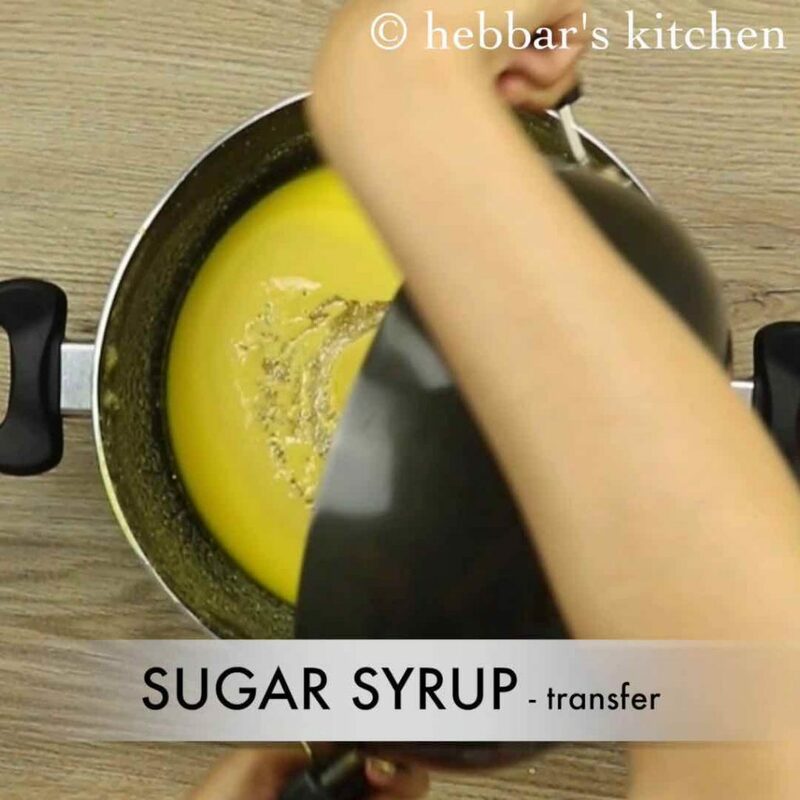 transfer the sugar syrup over besan mixture. 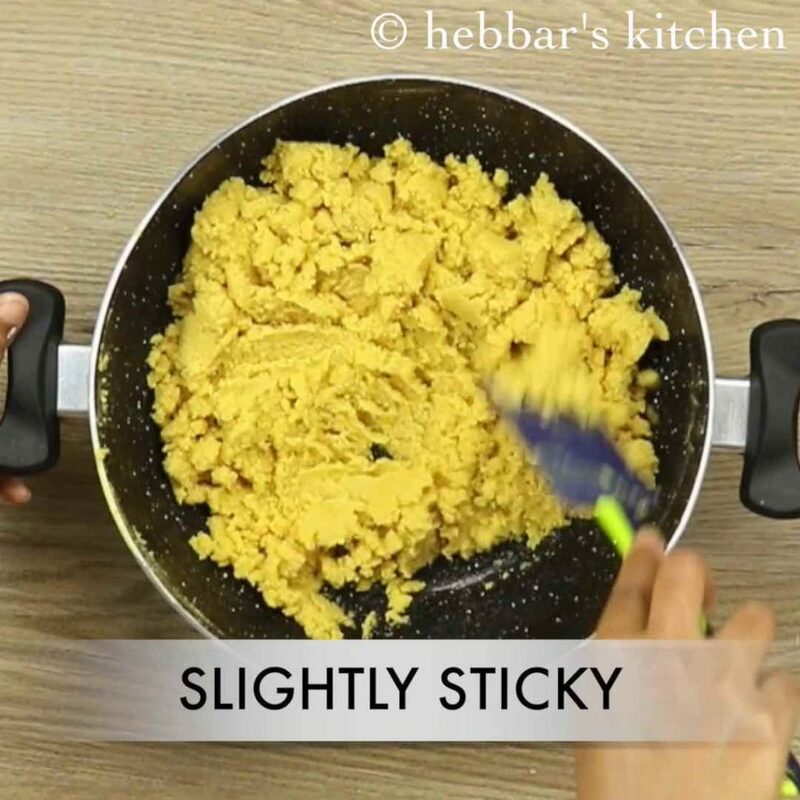 stir continuously, till the sugar syrups combines well with besan mixture. continue to stir for 5 minutes or til the mixture cools and slightly thickens. and the mixture turns sticky. add finely chopped pistachios and cashews. 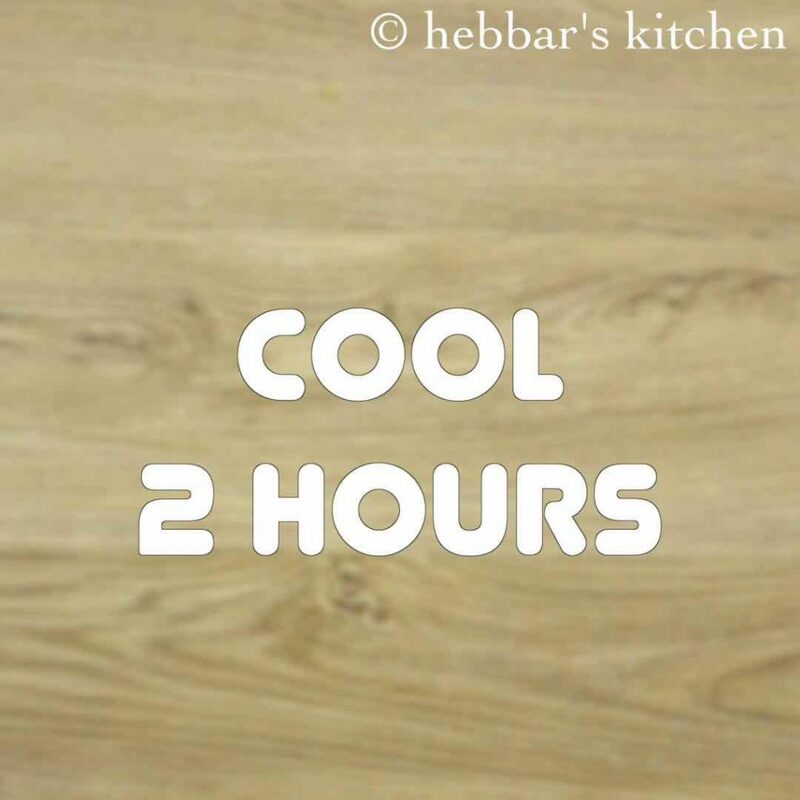 cool completely for 2-3 hours. 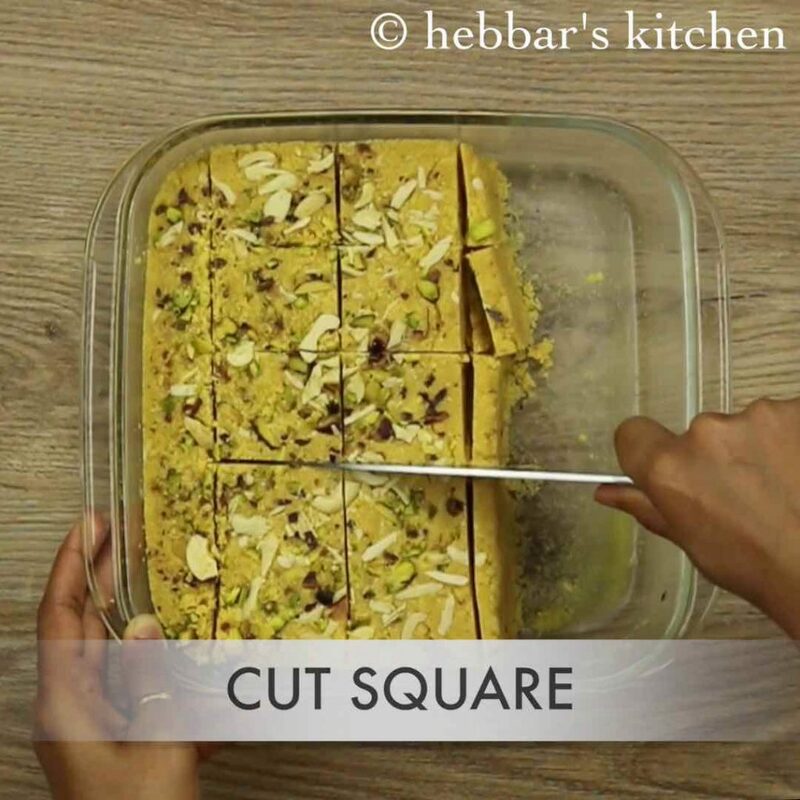 cut the mohanthal into square pieces. finally, serve or store mohanthal for a week by refrigerating. 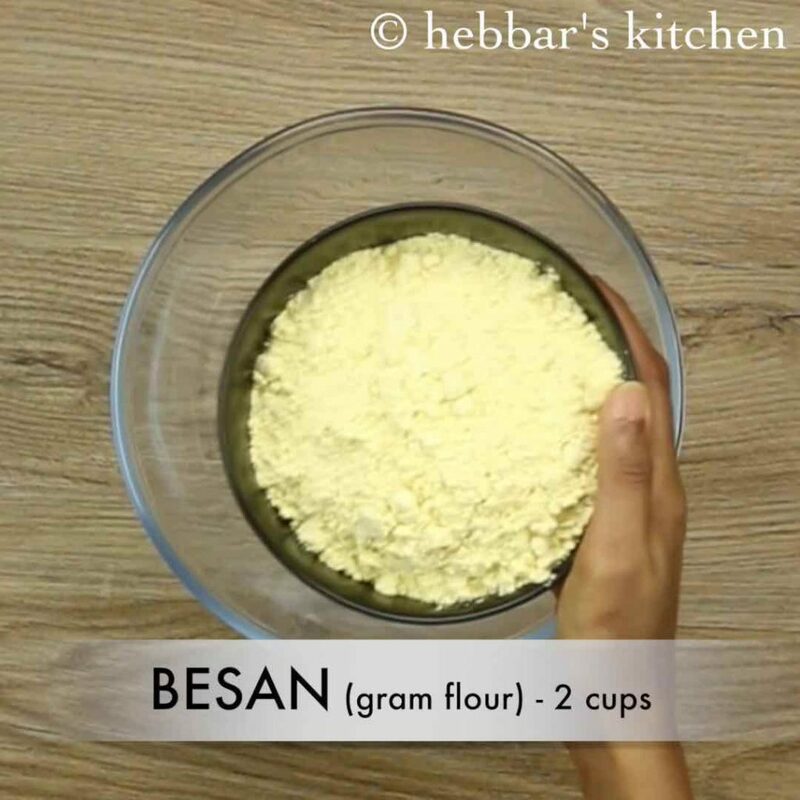 firstly, in a large bowl take 2 cups of besan. 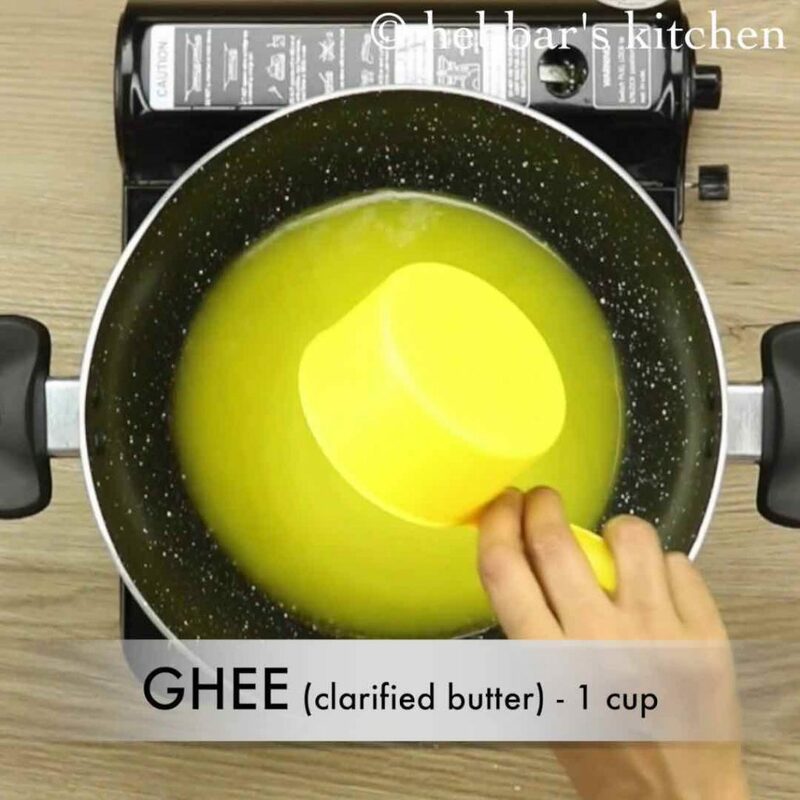 add in 3 tbsp of ghee and milk. further, crumble and mix well making sure the mixture turns crumbly like breadcrumbs. 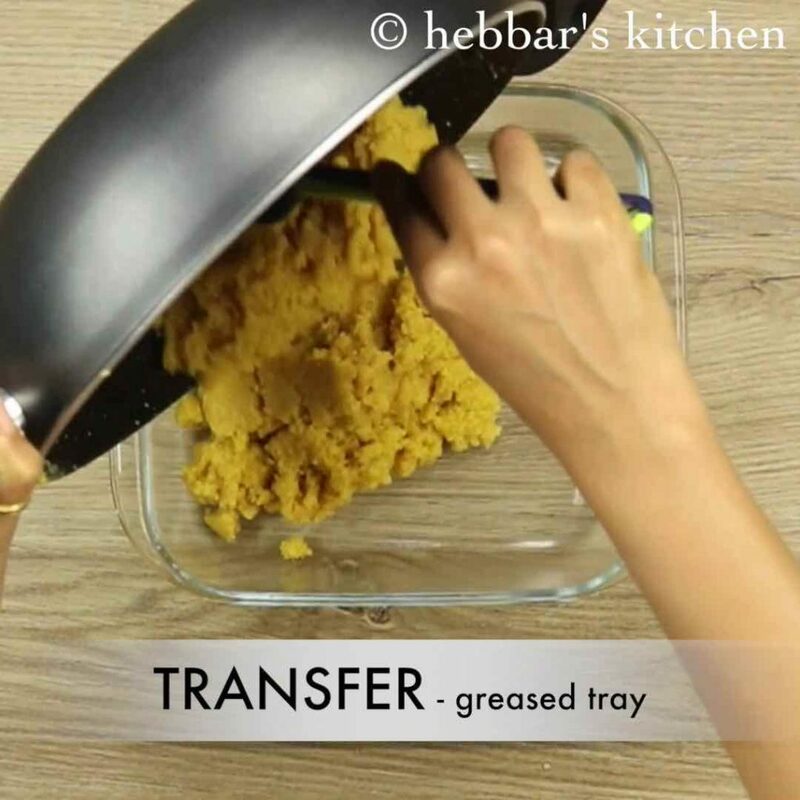 sieve the crumbled besan with the help of sieve, to break lumps. keep aside. 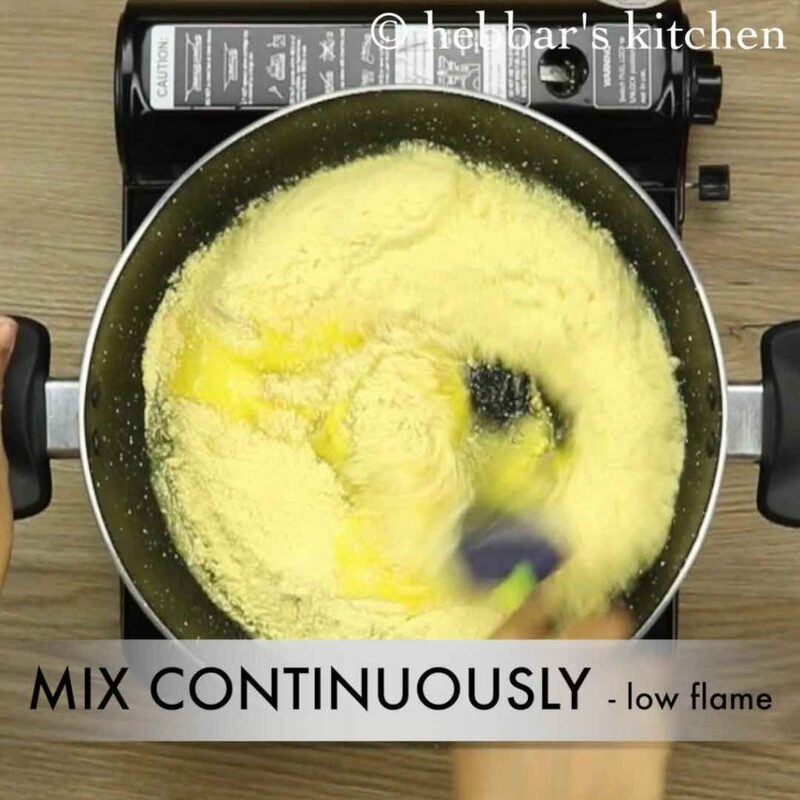 keeping the flame on low-medium, stir continuously till the mixture combines well. 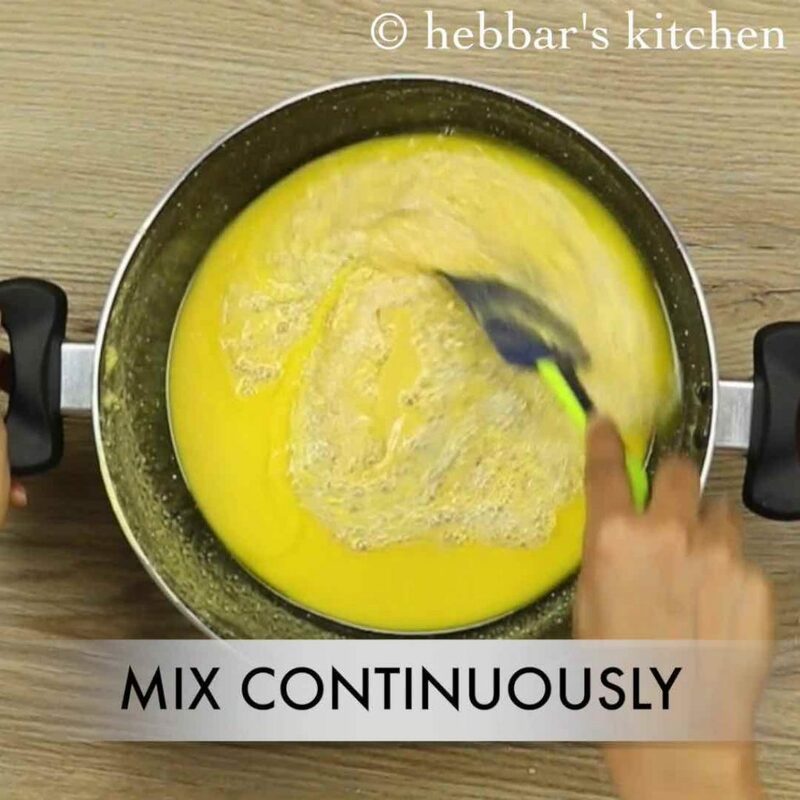 after 5 minutes, the mixture starts to turn aromatic. 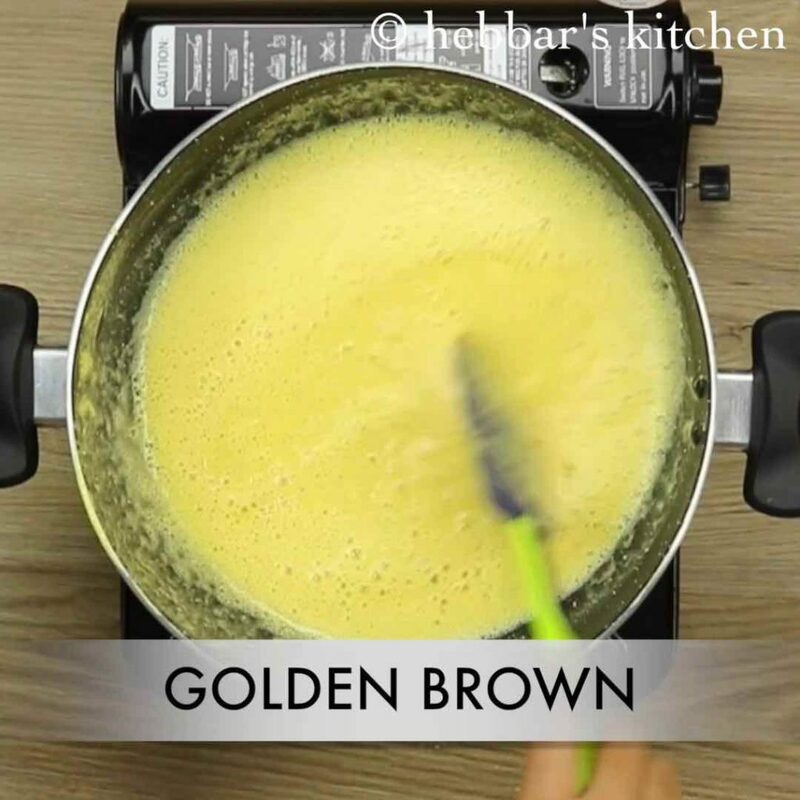 also the besan mixture turns golden brown. keep the mixture aside and prepare sugar syrup. 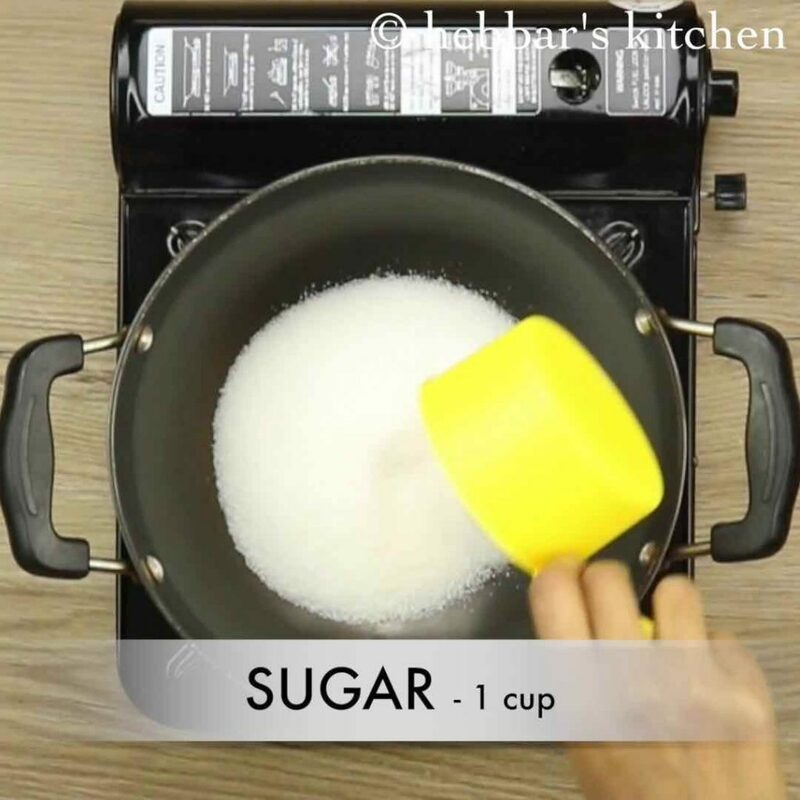 to prepare sugar syrup, in a vessel add 1 cup of sugar. 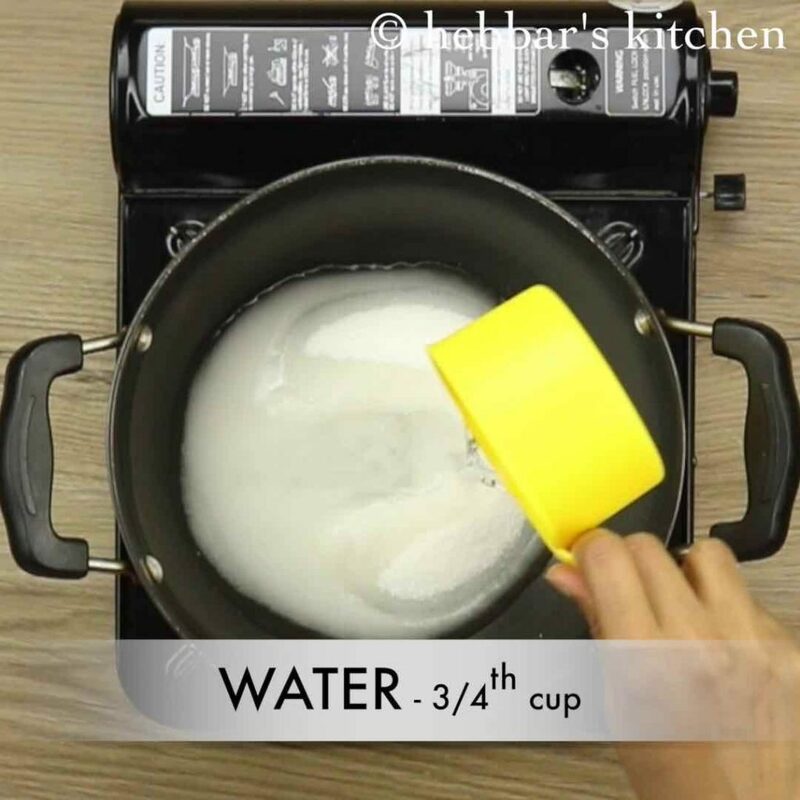 further add ¾ cup of water and mix well till the sugar dissolves completely. 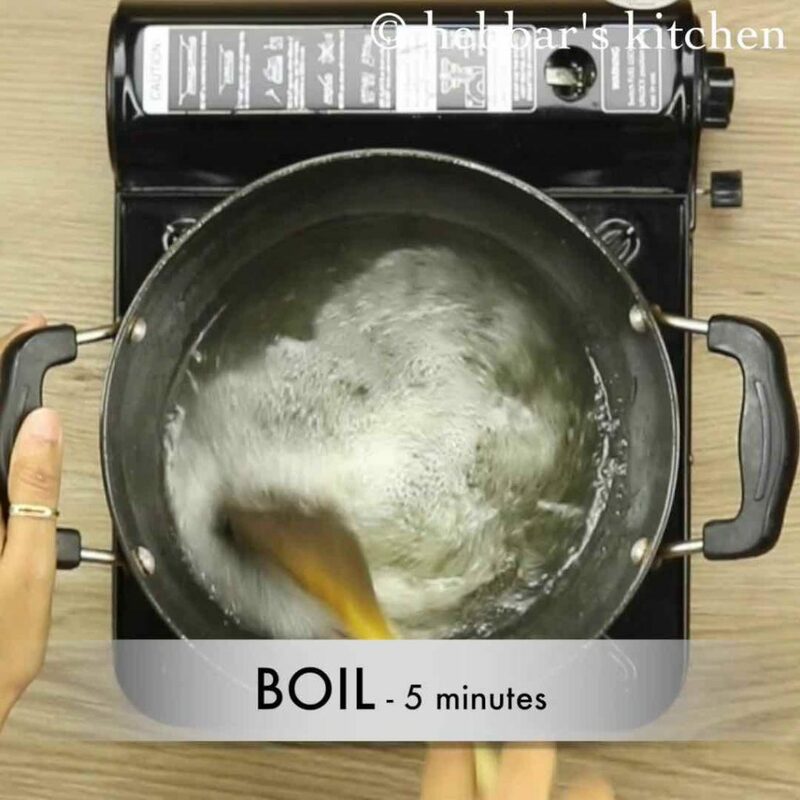 boil the sugar water stirring occasionally. 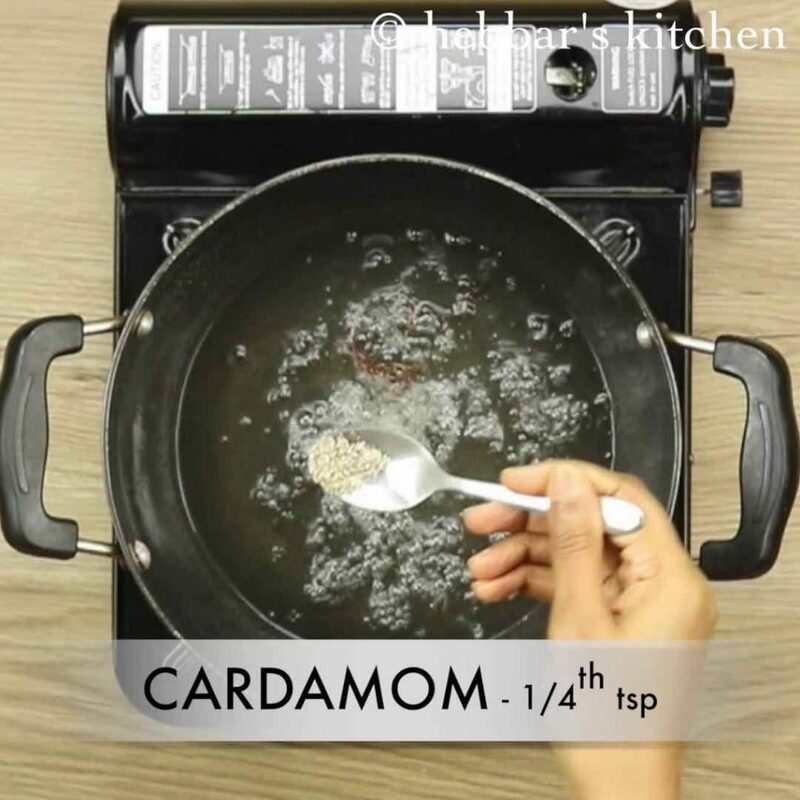 additionally add cardamom powder and saffron threads. 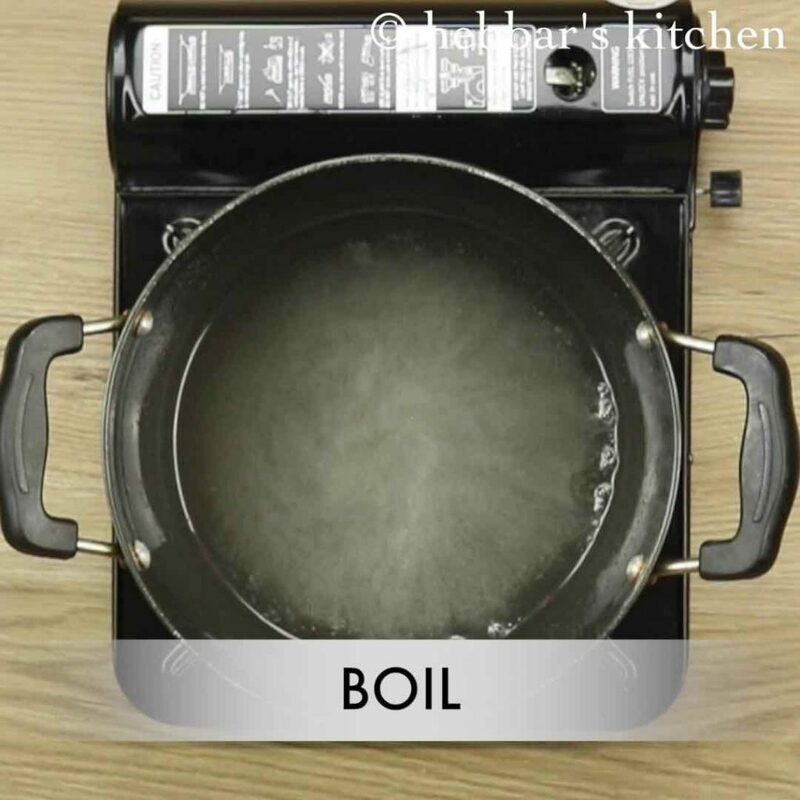 mix well and boil further for 5 minutes. boil the syrup till 2 string consistency is attained. and the mixture turns sticky. 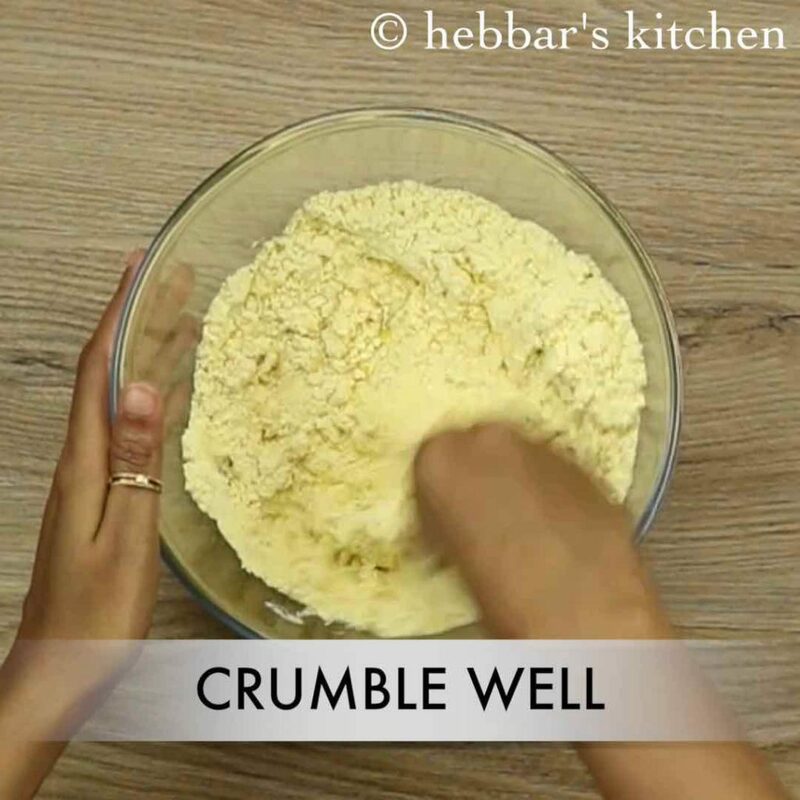 if the mixture turns crumbly, add 2 tbsp of milk and mix well. add finely chopped pistachios and cashews or any nuts of your choice. press gently with the back of spoon so that the nuts stick to mohanthal. firstly, crumble the besan with ghee and milk for perfect texture of mohanthar. 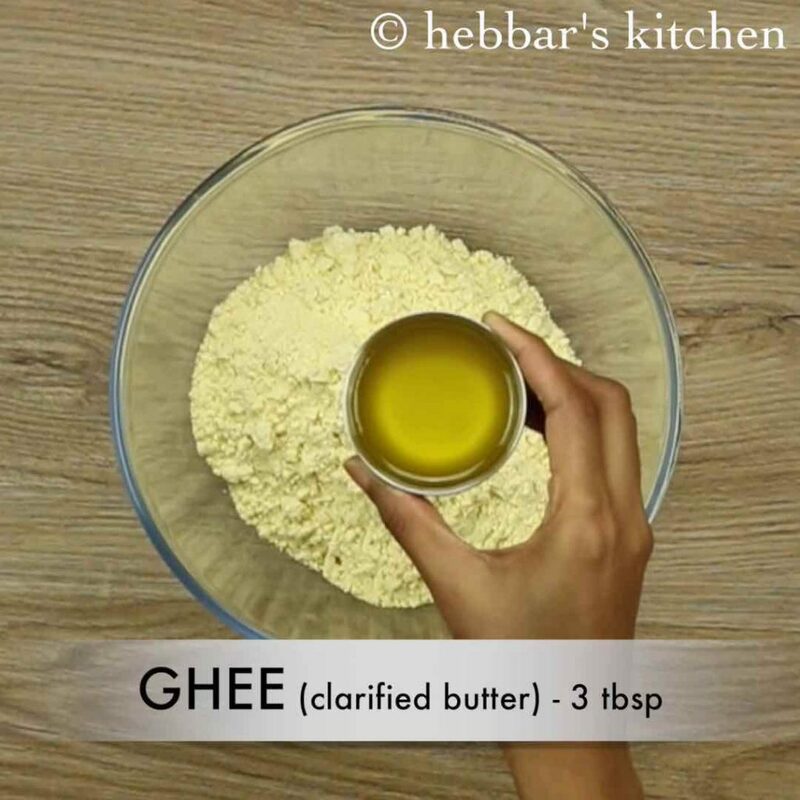 also, use fresh ghee as the flavour of ghee enhances the taste of gujurati mohanthar. additionally, add dry fruits of your choice. most noteworthy, make sure to have 2 string consistency of sugar syrup, else the mohanthar will not set. finally, mohanthal stays for at-least 1 week when refrigerated. 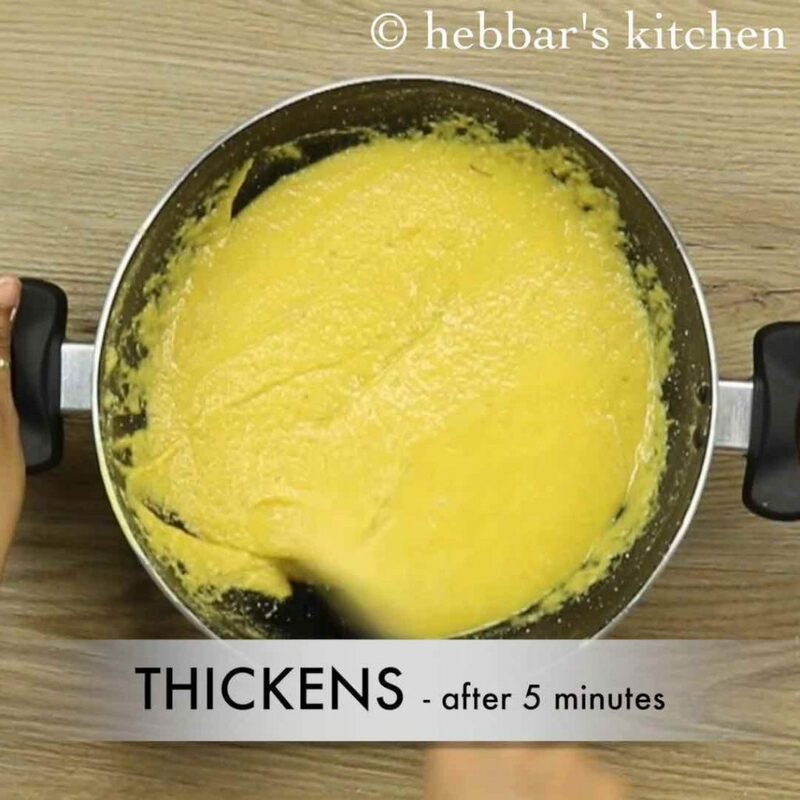 tried it yesterday and it turned out excellent thank you very much for sharing this recipe. I trie me it and came out really good. I tried it. Turned out well. Thank you. i guess you have cooked it for more time. what was the colour of it?